You don’t often get to see Thierry Gueorigou in action for 15 minutes – followed by a camera. Quite shaky – and not the best video quality admittedly – but still a nice one to watch in order to see how the master does it. 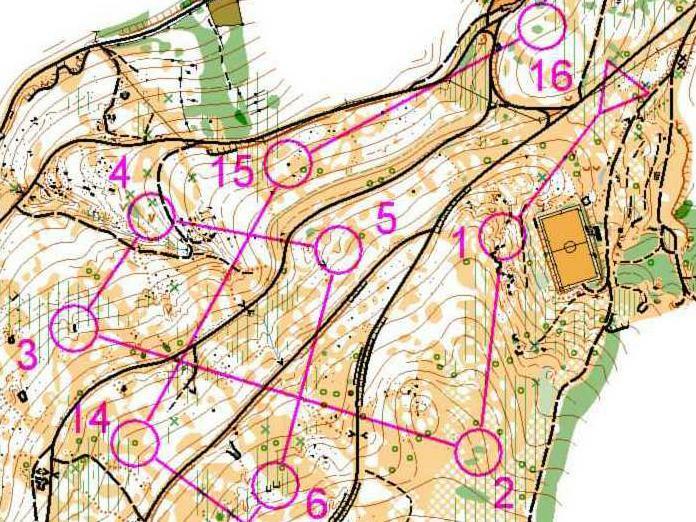 And if that’s not enough to get some o-technical learning from it: Draw his route on the map in the Webroutes below (forest orienteering + sprint) and compare yourself with others to see how well you hit! Can you spot the error in the end before Thierry? Video and maps were posted at the Facebook page of I Meeting de Orientação de Gouveia. Thanks to Miguel Reis e Silva for updates about the competitions. Below you find the video and two Webroutes – one for the first part of the course and one for the second part. Take a look at the map below while watching the video, and try to draw along. In the last part Thierry makes a mistake and has to make a few seconds stop to read the map – can you spot the error before Thierry? Tip: The second map is easier to follow, and a lot more interesting – so I would start with that one. That starts about 6 minutes into the video. Good luck! Open second map in separate browser window to draw along. And don’t fool yourself by rewinding the video to look a second time – draw based on what you see the first time. Tip: Open the webroute in a second browser window so you can draw while you watch the video. Use a straight line between the places the video jumps. very intresting ;) good job Jan !!! @Matija: Not my good job – thank the Portuguese organizers:) Glad you enjoyed it, though! cant see the video in germany:( and vtunnel.com doesnt work:( maybe next time a video without music from wmg or umg..
@Moritz: Not my video, but I’ll give them the message.